Manufacturing Jewelers & Suppliers of America (MJSA) is a world class trade association dedicated to professional excellence in jewelry making and design. 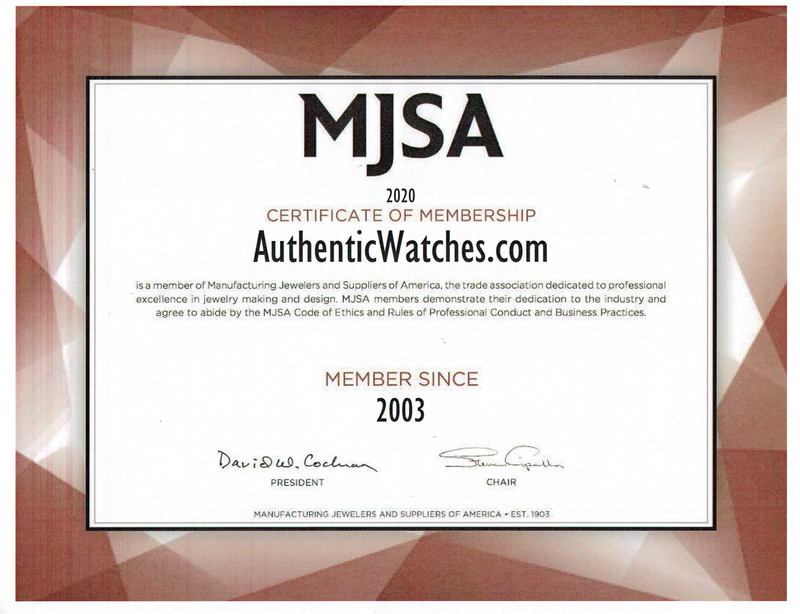 Our partnership with MJSA helps to ensure that you, the customer, will always receive a 100% brand new, authentic item at some of the most competitive pricing in the world. Amazon has nearly monopolized online retail by focusing on convenience, speedy delivery, and complete customer satisfaction. We are happy to contribute to their success and stellar reputation with our top quality products and customer service. We currently stand at a perfect rating of 5 out of 5 stars as an individual Amazon seller. Below is a collection of reviews left by real customers. The Better Business Bureau shows superior commitment in helping consumers find companies that they can trust. We are proud to be a Better Business Bureau accredited, A+ rated company that shows an equally superior commitment to our customers. Reseller Ratings sets the standard for specialized, non-manufacturing online retailers. We are currently an Elite Member of this site, rated at 5 stars with a customer satisfaction rating of 9.5 out of 10. We are a top-rated seller on eBay, with over 12,000 positive reviews and a 100% customer satisfaction rating. All reviews are genuine, as they can only be left by confirmed customers who have bought and received items from our company. At AuthenticWatches.com we pride ourselves with our customer reviews. We believe is the true way to let our new customers know who we are and how we excel. We have been selling authentic watches online since 2001. Over that time we have seen the internet grow from a curiosity to a necessity. We thank our past customers and welcome the new ones who will browse our pages.